Calculation of the power required to raise the temperature of a fluid (liquid or gas), in a single pass, circulating continuously in a heater ou duct heater. The temperature difference between the inlet ant outlet is quaranteed for a set system after operating for several minutes. Upon start-up, since all equipment, heater body, heater case, heating tubes, are at room temperature, it is not possible to instantaneously obtain the desired outlet temperature of the fluid. 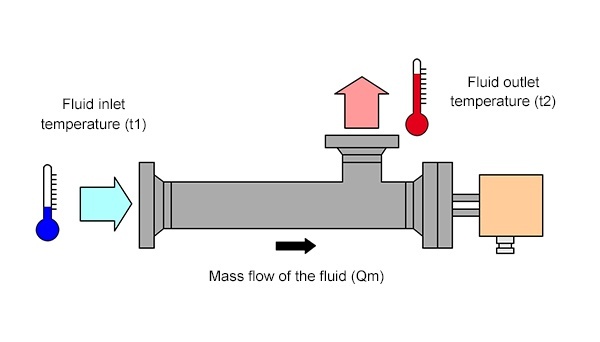 This calculation is not applicable in the case where the fluid is gradually heated by successive passes through the heater.